I have never in my life known a time when hatred has been so acceptable. I cannot remember a time when politics and hatred have had such a close relationship. Hate has become acceptable in America, even fashionable. And Christianity has been co-opted to validate much of that hatred. I don’t think I’m telling you anything you don’t already know. Wherever you get your news, there you will find ample testimony to the well-spring of hatred in our society. There is no shortage of people from politicians to pundits to pastors who will tell you who you should be hating, who you should be blaming for whatever it is you are angry about. And there is some recent evidence that all of this hate-speak is fomenting an increasing level of violence in our society, directed against those who are the targets of this venom. No, this isn’t anything you don’t already know. The question is, What are we going to do about it? Fr. Gregory Boyle, the well-known Jesuit priest who founded Homeboy Industries in Los Angeles to help people escape gang violence, talks a lot about the importance of kinship. The development of kinship is, in fact, what he says lies at the heart of Homeboy Industries, the largest and most emulated program of its kind in the nation. Without kinship, he says, there cannot be peace and there cannot be justice. Indeed, he says, “If kinship was our goal, we would no longer be promoting justice, we would be celebrating it.” His insight is simple yet profound: it is only when we recognize our kinship or intimate connection to others that we can truly become interested in their well-being, including whether or not they are being treated fairly. It seems to me that when Fr. Boyle talks about kinship, he is talking about what Jesus was talking about when he emphasized the importance of loving our neighbor as ourselves. Very often, I have understood this teaching to speak of a connection between the way I regard myself and the way I regard others. But Fr. Boyle adds another dimension to this teaching, which suggests that we are meant to see a kinship between ourselves and others. It is not a kinship that is only to be extended to our family and friends, to those who love us and who are similar to us. As Jesus said, everybody does that. But we are to extend our kinship to the whole human family, to everyone we encounter. That is the way we become interested and invested in the lives of others, and that is the way we truly develop a genuine desire for their well-being. It is from this kinship that peace and justice truly flow. We need to stop listening and giving privilege to those voices around us that seek to pull us away from any sense of kinship with others. Those of us who are people of faith need to insist that our traditions stop being used to justify these voices that seek to prevent us from developing kinship with one another, for these voices are out of tune with the traditions they seek to co-opt. We must dedicate ourselves to practices that nurture kinship with one another. For whether we choose to acknowledge it or not, the reality is that we all live together or we perish together. Let us begin to say “No” to the voices that would seek to plant hatred in our hearts and souls, and begin to say “Yes” to the divine voice that points us toward the sacred kinship we share with one another. In the end, I am convinced that this is the only path that will save us from the hatred that swirls in our midst. In the fourth chapter of his book, Immortal Diamond, Richard Rohr points to something that lies at the very heart of the Gospel: that Jesus calls us to celebrate difference while overcoming otherness. 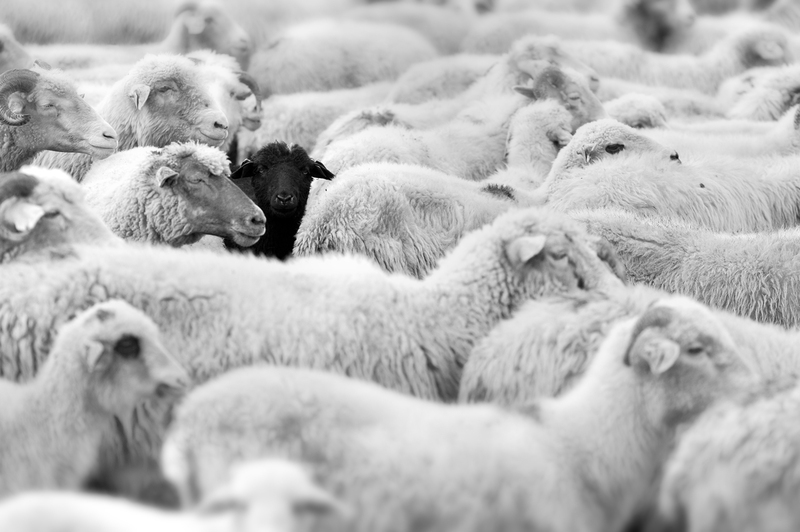 In saying that he has “other sheep that do not belong to this fold”, Jesus is speaking of people who are different from those he is addressing. Jesus knows that his listeners imagine that these others are not simply different, but they are other: they belong to a different “fold”; they are a different people, with different ways and different customs, and so they are other: alien, foreign, unknown, and thus dangerous. But the voice of Jesus seeks to draw these others into one “flock”; notice that he changes terms here, using the word “flock” rather than “fold”. The flock is a different sort of entity: it is a collection of folds, a coming together of peoples in a way that does not seek to eliminate difference (Jesus has no desire for uniformity). But the flock is nevertheless one, because while the differences inherent in the various folds remain, the otherness has been overcome. The sheep, listening to the voice of Jesus, have learned to celebrate difference while transcending otherness. The very pattern of Jesus’ ministry, of course, reflects this. He spends a great deal of his time among people whose differences have made them “others”, and alienated them from their families and communities. This is often the result of circumstances that are beyond their control, like physical or mental disease or economic disparities. 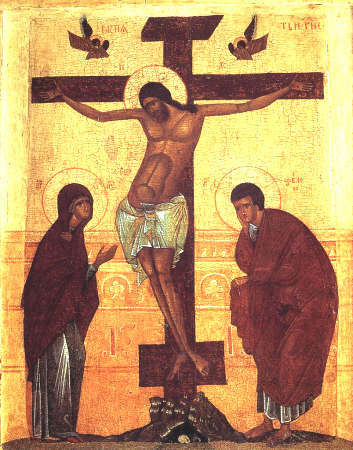 When Jesus heals such people, when he helps them find divine love and forgiveness, he always sends them back into their communities — back among the people who cast them out for their otherness — and, by so doing, he forces both the formerly other and their community to find a way to reintegrate them, to find a way to overcome the sense of otherness that has been at the heart of their relationship, often for a very long time. Interestingly, we almost never hear that part of the story. We don’t know how these outcasts and their families and communities managed this integration. But we know that the people involved must have been forever changed by the experience. Modern American culture is a strange entity. At one and the same time, it celebrates difference while using the very differences between us to keep in place a strong sense of otherness and alienation. We celebrate the American myth that we are a great melting pot, while at the same time preserving a keen sense of who is “other”. And, sadly, religious people — and Christian people — are often the best at keeping our various folds from coming together as one flock. When we really deeply consider the teaching of Jesus, and when we really take in the pattern of his life, the task before us seems rather clear: celebrate difference, overcome otherness, and stop maintaining the walls the separate us.